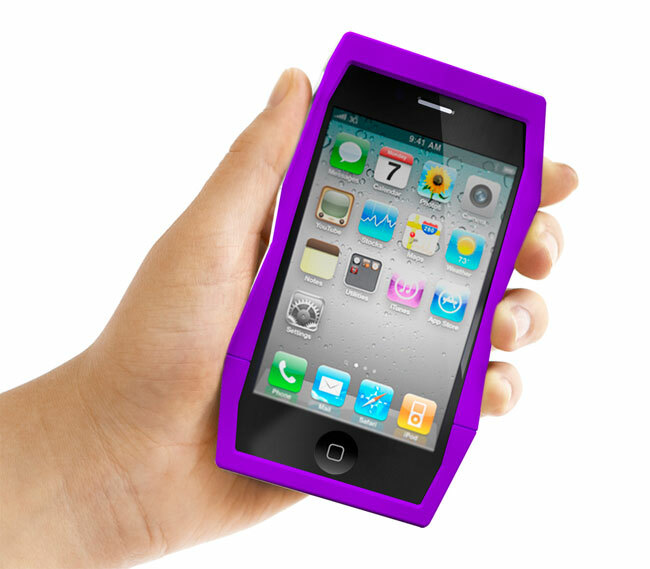 The guys over at Quirky have come up with a new iPhone 4 bumper style case called the Tilt. As you can see from the photos the Tilt iPhone 4 case is designed to fit on the band around the middle of your iPhone. As well as protecting your iPhone from knocks and bumps, it can also be used as a stand for your iPhone 4 so you can use it in both landscape and portrait modes. Your shiny new iPhone 4 deserves only the coolest accessories. Look no further than the Quirky Tilt, a funky new bumper-style case and stand that protects your phone in style, while offering cool details to boot. 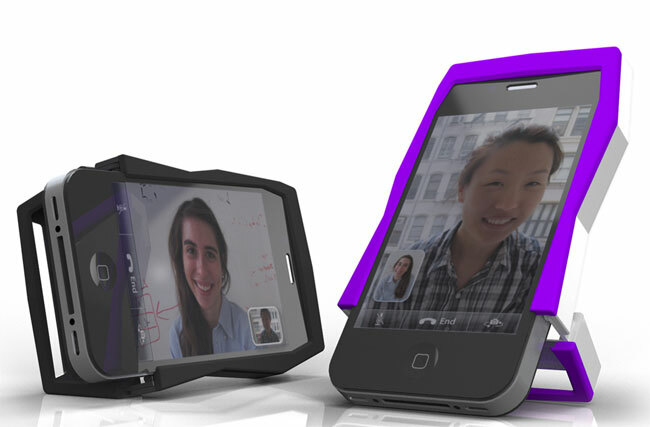 The Quirky Tilt iPhone 4 Bumper Case is available to pre-order for $28 from Quirky. Apple has now released the new iPhone 4S, make sure you have a read of our iPhone 4S review and also take a look at our article which explains the difference between the iPhone 4 and iPhone 4S.